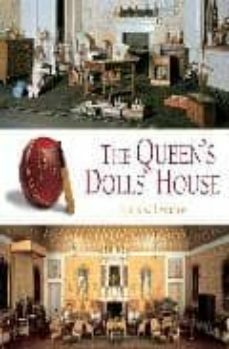 The Queens Dolls House is one of the largest, most beautiful, and most famous dolls houses in the world. Created for Queen Mary in the early 1920s by the renowned architect Sir Edwin Lutyens, it is a perfect replica of an aristocratic Edwardian residence, complete in every way from the wine-cellar, with its store of tiny bottles, each containing a thimbleful of vintage wine, to the library, with its exquisite volumes of original works by authors such as Sir Arthur Conan Doyle, Thomas Hardy and Edith Wharton. This most magical of dolls houses also has a garden designed by Gertrude Jekyll, a garage full of miniature limousines, and running water, electricity and working lifts. Each room, from the servants bedrooms to the grand saloon, is fully furnished in every way, and waiting to be explored.